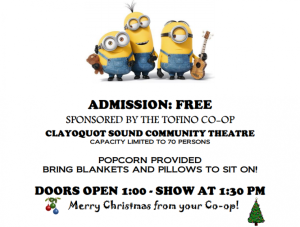 Special Movie Showing – Minions! 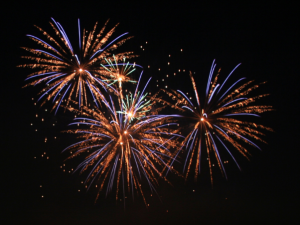 Enjoy the firework display on beautiful Cox Bay Beach, New Year's Eve! Please use public beach access and public parking. Parking located at Cox Bay North (1431 Pacific Rim Highway) and Cox Bay South (Maltby Road). Celebrate New Year's Eve on Mackenzie Beach with fireworks! Please use public beach access and parking. A performance part of the West Coast Winter Music Series. A summer celebration of local food and wine. Events celebrating shellfish season on the coast.